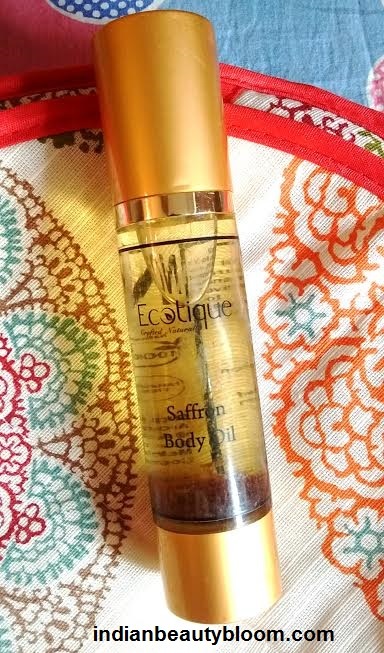 Review of Ecotique saffron Body Oil . Ecotique saffron Body Oil is an oil infused with saffrons which acts as antioxidants . 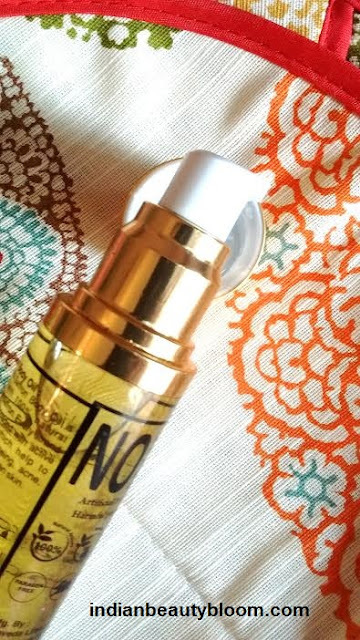 This oil helps to reduce signs of ageing , acne , blemishes etc . Is a blend of various oils and saffron . The oil comes in a good quality plastic bottle with a nozzle at the top from which small quantity of oil can be easily taken out and applied on body . The pack is travel friendly too . 1. Contains natural ingredients like saffron . 2. 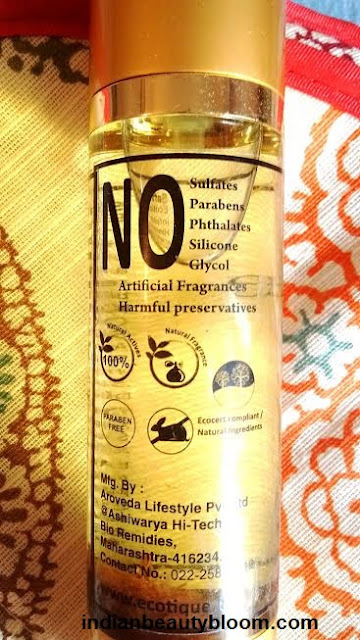 Free of parabens , Sulfates , Glycol . 5. Excellent & Classy packaging . 7. Moisturizing power is good . 8. Gets completely absorbed in the skin without making the skin look oily . 9. Has natural fragrance which stays for a good period of time . 10. 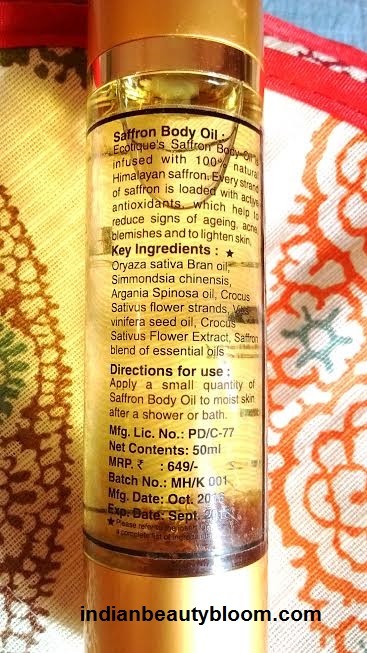 Saffron helps to brighten the complexion and also protects from Sun damage so this oil also acts as Sunscreen . The product claims to reduce signs of ageing , blemishes , acne . To lighten the skin tone as saffron brightens the complexion . Protects the skin from sun damage . Makes the skin soft & supple . I am using this oil past few days . One needs to apply small quantity of oil on face and body after a shower or bath . It moisturizes the skin and staying power is around 4-5 hours . It also makes skin soft & supple .